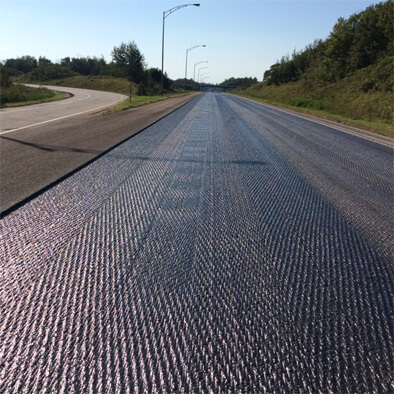 The process known as ‘mill and pave’ is required when the old asphalt has to be removed down to the base because it is too damaged by potholes, dense network of cracks, or other damage to the surface or the base itself. This kind of damage occurs because of age, inadequate preventive maintenance or faults with how the original parking lot was built. Mill and pave require special equipment and expertise. The paving contractor requires special equipment to break up the concrete, remove the broken pieces, and big trucks to cart it away. Then, it’s important to adhere to the New Jersey permit process for environmentally sound disposal. Before new asphalt can be laid down, the base may have to be repaired or rebuilt. When the new asphalt is laid down, it must be to the proper depth to support the traffic your parking lot will experience. If the mill and pave is for only part of the old surface, it’s critical that the new and old meet flush with a tight seam. Otherwise a big seam will open up, letting in water and quickly break apart. All this requires expertise and integrity from the paving contractor. Otherwise, you are wasting your money because the repair will not last.